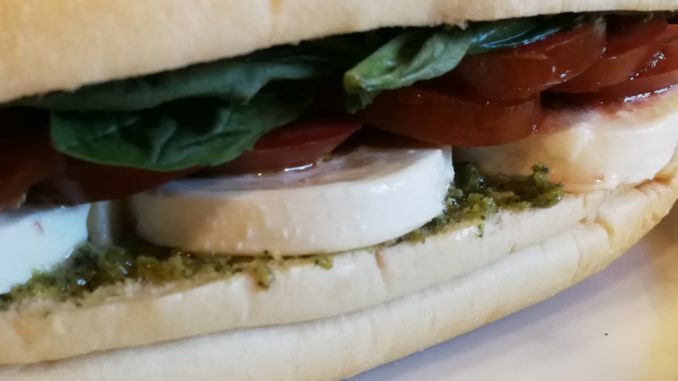 Caprese Tomato Mozzarella Basil Pesto Sandwich. Earlier in my career, I used to ride the Amtrak Acela train from Washington, DC to Philadelphia, PA. I was working at a computer services firm that had business with client in New Jersey. One of my favorite parts about the trip was to take a Tomato Mozzarella Sandwich with me from Au Bon Pain at Union Station. 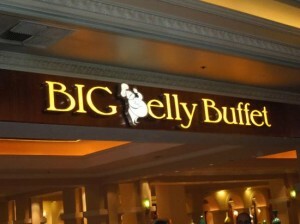 It was a very tasty lunch to eat on the way to Philadelphia. Now, I like to make my own version of Au Bon Pain’s Tomato Mozzarella Sandwich. Au Bon Pain has a special place in my heart. When we were dating, my husband and I used to go to Au Bon Pain for their chocolate croissants. Au Bon Pain was also a popular place for work lunches with colleagues. And my favorite sandwich was their Tomato Mozzarella Sandwich. Au Bon Pain’s recipe has changed a bit since I used to order their sandwiches often. 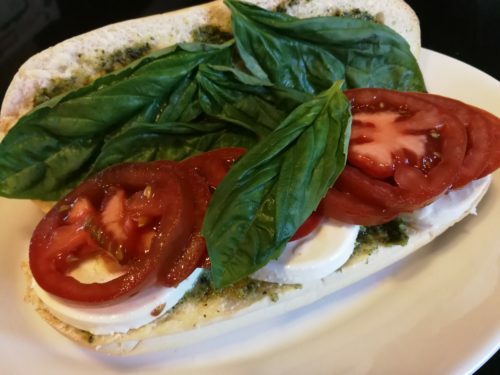 Their new sandwich is called Two Tomato Caprese Sandwich. 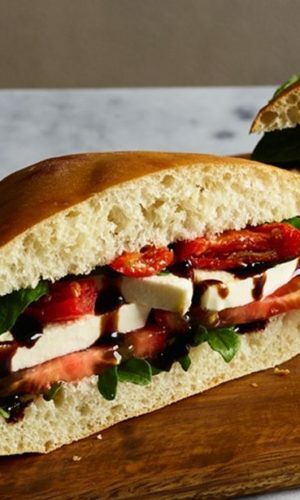 My sandwich is based upon their older version and reminiscent of my Insalata Caprese. 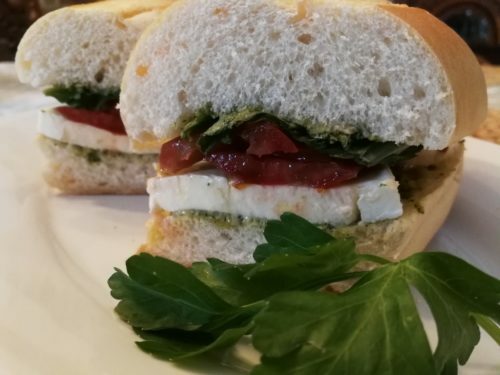 You might consider my Caprese Tomato Mozzarella Basil Pesto Sandwich to be more of a Summertime sandwich with its ripe tomatoes and fresh basil. I like to think it’s also a nice slice of Summer all year round. 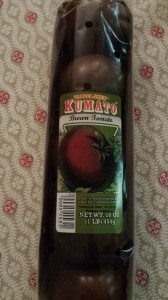 You can find ripe tasty Kumato tomatoes and even fresh basil sprigs in a number of grocery stores even in Winter. I make my own pesto but you can also use store-bought pesto. First, start out with a large sub roll. Slice the sub roll in half lengthwise. 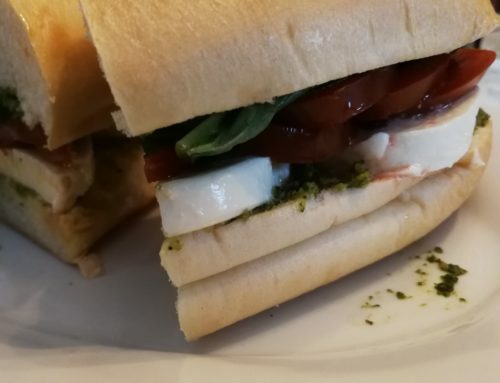 Spread the insides of the sub roll halves with pesto. Drizzle some olive oil over the pesto. Then layer a few thick slices of fresh mozzarella on the bottom half. Add ripe tomato slices on top of the mozzarella. Drizzle some olive oil over the tomato slices and season with a bit of salt and pepper. Then drizzle some balsamic vinegar syrup over the seasoned tomatoes. Add a few fresh basil leaves. Put the sub roll top on the sandwich. 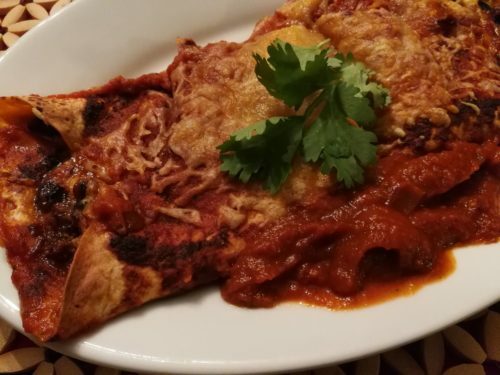 Slice in half and serve. 1. Slice the sub roll in half lengthwise. 2. 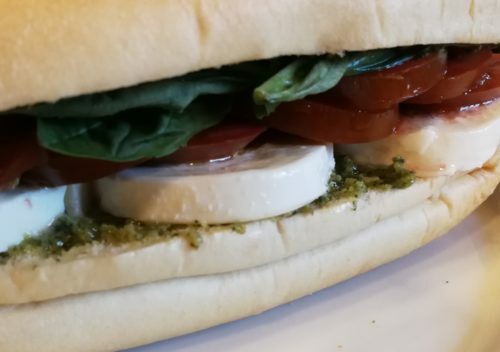 Spread the insides of the sub roll halves with pesto. 3. Drizzle some olive oil over the pesto. 4. 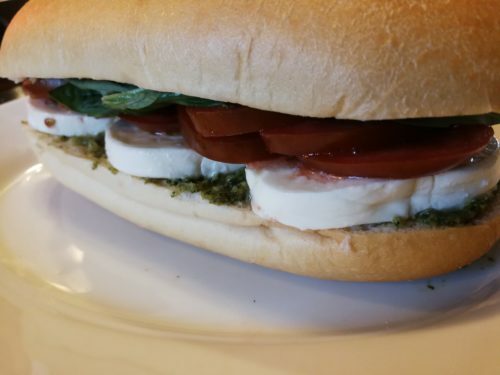 Layer a few thick slices of fresh mozzarella on the bottom half of the roll. 5. Add ripe tomato slices on top of the mozzarella. 6. Drizzle some olive oil over the tomato slices and season with a bit of salt and pepper. 7. Then drizzle some balsamic vinegar syrup over the seasoned tomatoes. 8. Add a few fresh basil leaves. 9. Put the roll top on the sandwich and slice in half. Makes one Caprese Sandwich. Serve with potato chips and my Simple Iced Tea. Variations: Toast the sub roll for some crunch. Add a bit of mayo to the pesto for more of a pesto aioli. Add some roasted red pepper for a different flavor. Thin slices of prosciutto ham are a good addition for the meat lover in your family. I love to make this sandwich the night before and package it in the refrigerator to take for lunch the next day. The flavors meld together nicely overnight.